PROFESSIONAL SERVICES FIRM EY has announced 80 new jobs across its offices in Dublin, Cork, Limerick and Belfast — with recruitment to take place over the next six months. The company — which provides Assurance, Advisory, Tax and Transaction Services — says the expansion comes after they secured a number of new clients. “We have already commenced a targeted recruitment campaign in these locations,” McKerr said. Welcoming the news, Jobs Minister Richard Bruton said the recruitment campaign targeting Irish people living abroad was “a strong sign of the progress we are making”. “I am determined to ensure that, with the proper supports from Government, we can see many more investments like this over the coming months and years,” the Minister added. The firm is seeking to fill roles for qualified accountants and senior executives as well as “a number of key roles in the Financial Accounting Advisory and Fraud Investigations and Dispute Services”. Consultants are also being sought for EY’s advisory team, to support services like cost reduction, risk, change management and IT transformation projects. In addition to the jobs announcement, the company is also offering 160 graduate positions for their 2014 intake. Email “Firm targets Irish abroad as 80 new jobs announced”. 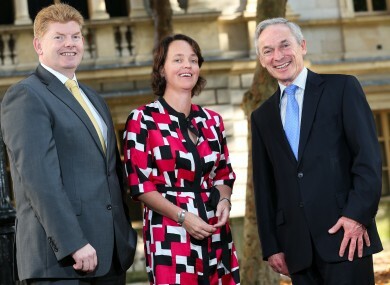 Feedback on “Firm targets Irish abroad as 80 new jobs announced”.